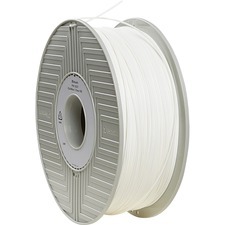 Manufactured to very tight tolerances and from the highest quality materials, Verbatim PLA 3D Printing Filament does not require a heated print bed and is less prone to warping than other filament materials. Designed for compatibility with most commercially available printers, Verbatim PLA filament can be cut, filed or glued post printing, but PLA filament should not be used with acetone. With diameter tolerances of 0.05mm, Verbatim PLA 3D Filaments ensure consistent feeding and stable prints, every time. 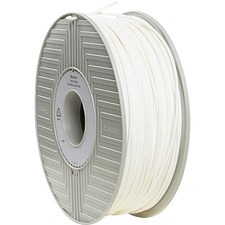 Verbatim 3D Filaments feature a custom spool designed for strength and balance for uniform feeding. Filaments are packaged in a vacuum-sealed bag, including desiccant, to promote longevity and prevent the introduction of moisture. 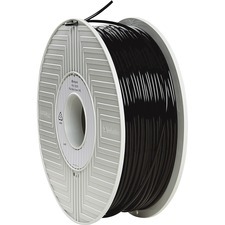 Verbatim PLA 3D Printing Filaments are backed by a 1-year limited warranty.